“An exhilarating debut thriller from a hugely talented author. Distress Signals is fast-paced, twisty and an absolute joy to read.” — Mark Edwards, #1 bestselling author of The Magpies and Follow You Home. 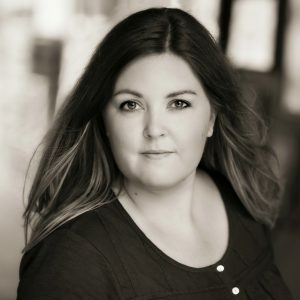 Please join me in welcoming author Catherine Ryan Howard to my world today.Catherine’s debut thriller Distress Signals was released earlier this month and is already garnering high praise indeed. NF : Hi Catherine and welcome. In a few lines tell us a bit about yourself. CRH: I live in Dublin, Ireland, but I’m from Cork. I’m currently studying for a BA in English Lit as a mature student in Trinity College, which is why I moved here. I’ve self-published a number of non-fiction titles about some of my travel adventures, and then the obligatory ‘how to’ self-publishing guide. I’ve been blogging since early 2010 and love Twitter. Prior to writing (and studying!) full-time, I was a campsite courier in France, worked in the travel industry in the Netherlands and was a front desk agent at a hotel in Walt Disney World. 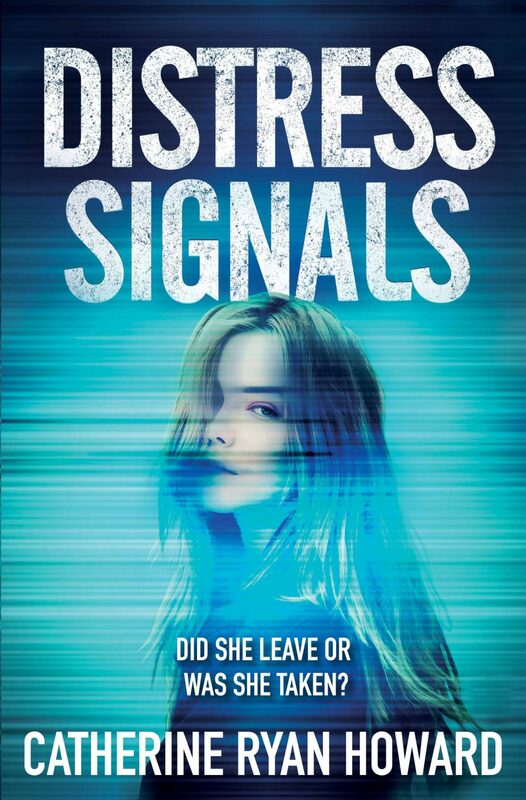 My debut thriller, Distress Signals, came out on May 5. NF: Can you tell me a bit about your writing processes. For instance do you draft an outline, do you have a set number of words you try and achieve each day or do you go with the flow and see where it goes? CRH: I really have no routine, although I wish I did. I’m more of a binge-writer – I won’t write for days or weeks, and then I’ll attach my arse to the chair and write 10,000 words in a couple of days. I’m a planner, so before I start anything I do spend a lot of time plotting out the major points. I find a stack of Post-Its, a pack of Sharpies and a roll of Christmas wrapping paper (use the back – it’s blank and can be as wide or as long as you need it to be) are the ideal tools for this. It also appeals to the pathological procrastinator in me. NF: Distress Signals is a great title for a book and conjures up all sorts of imagery. Where did the inspiration for the book come from? CRH: I’m glad you like the title because that’s not the first one we came up with! When I was writing it, I called it Dark Waters (so generic) and then when it went out on submission it was called Adrift (which I really liked but it’s also the name of a movie), but now I can’t imagine the book being on the shelves with anything other than Distress Signals on the cover. I love it too. The idea came from an article by Jon Ronson called ‘Lost at Sea’ which was about some unexplained disappearances from large cruise ships around the world. It mentioned something called the International Cruise Victims organisation, which just stopped me in my tracks. Victims? On cruise ships? Of what? And why so many that they needed a group? To me, cruise ships were happy, sunny places, filled with cabarets, buffets and cocktails with little umbrellas in them. What was happening out there that we needed this? After some research, I discovered some facts about maritime law that were unsettling at best, and details from real life cases that made my jaw drop. I started thinking, A cruise ship is the perfect place to get away with murder. Then I thought, I should write a novel about that. NF: Where is Distress Signals set and how did you make that decision? CRH: I was very lazy: the book starts off in Cork, where I’m from. In fact, Adam and Sarah live together in what is essentially the apartment I lived in before I moved to Dublin. It wasn’t all laziness though – I think it’s kind of thrilling to see Cork in a crime/thriller novel, because it’s not exactly LA or New York, so it’s quite the novelty. (I hope!) The latter half of the novel takes place on the Celebrate, my fictional cruise ship, but there is a port day in Nice in the south of France, where I’ve spent a lot of time. In terms of locations I tried to use as much of my existing knowledge as possible, because it really helps lend authenticity to the tale. I agree,setting your writing in places that you have been does help. I think I am also lazy as my next book is set in Somerset, which isn’t a million miles away from me!! NF: Distress Signals is your first thriller. If you were to give a piece of advice to someone about writing their debut novel what would it be? CRH: I think you have to be madly in love with your book, because you just can’t appreciate how long you and it will be together. It’ll be in your head, then you’ll be plotting and brainstorming, and then you’ll start writing who knows how many drafts. If you get an agent, you might have to go back in and start rewriting and revising again, and you’ll definitely have to do it if you get a book deal, because you’ll do at least one more draft with your editor. Then there’ll be copyediting and proofreading, and public readings, and talking about every aspect of the plot and the writing, etc. You’d go insane if you got sick of it at any point. I really love Distress Signals – it may sound weird, but I can still read it now (50, 60 times later!) and enjoy it and feel proud of it. So if you’re getting bored of your story by Chapter 3, it’s time to put it aside and write something else. Thanks Catherine, a great piece of advice. NF: How did you get published? CRH: There’s a long, complex answer to that and a short, simple one. The long one includes the fact that this is something I’ve wanted forever and have been trying to do for about that long, and how I self-published non-fiction and started doing freelance work for a major publisher in the hope that these things would help me. But the short answer is that, in the end, none of that mattered! I finished my book, I looked up agents online and I submitted to Jane Gregory following the instructions on her site to the absolute letter. Five days after she sent my novel out to editors, I had a two-book deal with Corvus/Atlantic. It was all about the book, in the end, not my contacts or my CV. Which I think is a good thing! NF: What’s next for you and your writing? Home or abroad – Abroad. Always abroad! Sweet or savoury – Sweet. I always say my only dietary requirements are calories. Thank you Catherine for spending time with me today and good luck with Distress Signals. I jump before I decide that I’m going to. Air whistles past my ears as I plummet towards the sea, dark but for the panes of moonlight breaking into shards on its surface. At first I’m moving in slow-motion and the surface seems miles away. Then it’s rushing up to meet me faster than my mind can follow. A blurry memory elbows its way to the forefront of my thoughts. Something about how hitting a body of water from this height is just like hitting concrete. I try to straighten my legs and grip the back of my thighs, but it’s a moment too late. I hit the water at an angle and every nerve ending on the right side of my body is suddenly ablaze with white-hot pain. When I open them again, I’m underwater. It’s nowhere near as dark as I expected it to be. Beyond my feet, yes, there is a blackness down deep, but here, just beneath the surface, it’s brighter than it was above. It’s clear too. I can see no dirt or fish. I twist and turn, but I can see no one else either. Looking up through the water, the hull of the Celebrate looms to my right, the lights of its open decks twinkling. I have a vague idea where in the rows of identical balconies my cabin is, and I wonder if it’s possible for two people to leave the same spot on such an enormous ship, fall eight storeys and land in completely different places. It must be because I seem to be alone. I drift down, towards the darkness. Pressure builds in my chest. I need to get to the surface so I can take a breath. So I can call out and listen for the sounds of legs and arms splashing, or for someone else calling out to me. A hot poker burns deep inside my shoulder. The pain makes me gasp, pulling water into my throat. Now all I want to do is to take a breath. I must take one. I can’t wait any longer. But the surface is at least ten or twelve feet above me, I think. I start to kick furiously. My lungs scream. I’m not a strong swimmer; I go nowhere fast. My efforts just keep me at this depth, neither sinking nor ascending. The surface gets no closer. The urge to open my mouth and breathe in is only a flicker away from overwhelming. I start to panic, flailing my left arm and legs. I lift my face to the light as if oxygen can reach me through the water the same way the moon’s rays can, and that’s when I see a shadow on the surface. A familiar shape: a lifebuoy. Someone must have thrown it in. I wonder what that someone saw. The edges of my vision are growing dark. Everything is cold except for the spot where my right arm meets my torso; a fire burns in there. The pressure in my chest is pushing my lungs to rupture and burst. I tell myself I can do this. All I need to do is get to the lifebuoy. I break the surface, gasping, sucking down air while my body tries to expel it, coughing and choking and retching and spluttering. Wow sounds like an exciting story line! I enjoyed the interview…and oh my, what an excerpt. I could barely breathe while reading it! Congrats on your debut novel. Excellent title! You’re not alone Alicia, the excerpt left me short of breath too! Thanks for stopping by. You appear to have led an exciting and, to me, exotic life! Perfect fodder for a suspense writer. I know what you mean about writing on blank paper. I tend to use the blank side of any sheet in the church bulletin. Hey, it’s not all my fault. The Zen music, the meditative mood, the pencils lining the back of the pew before my eyes…what do they expect, anyway? Thanks for a great post. Oh I can just picture you now Susan… sitting angelically, those pencils crying out for you to start writing…. We have to capture the moments where and when we can right? Thanks for stopping by. Loved the interview, and Distress Signals sounds as if it’s filled with suspense. That is one of my favorite genres of romance. Good luck to you! Thanks Kara, one of my favourite genres too. Thanks for stopping by. What a fascinating storyline, and chilling excerpt. You give some good advice for writers as well. I’d never heard the term campsite courier so I had to look it up – and google directed me to your blog post on pink pangea. What a rough way to spend the summer! Thanks for stopping by Patricia, much appreciated. Campsite couriers have it tough I think! I, too, love the title and the cover. And the excerpt was excellent! Felt everything along with her. I had no idea that crime was big on cruise ships, so would love to find out more about that. I love Cork and Dublin and recently visited Trinity College. I agree it is fun to hear about new locales. And wrapping paper is a great idea. Relatively inexpensive and perfect for your needs! Very informative interview. Thanks for sharing! And best wishes for DISTRESS SIGNALS and all of your writing endeavors! Thanks to Catherine for joining me here at blog central and thanks to all the lovelies who stopped by ….. off to book my cruise now…. or…..
Good luck with the book Catherine.